Ah, looks like the ESRB has ruined the surprise for THQ and Volition. 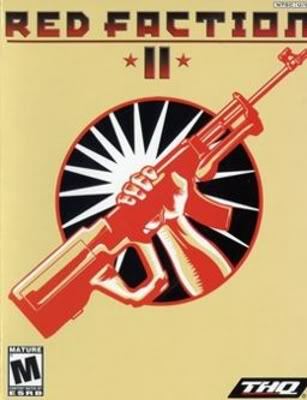 The ESRB has rated Red Faction II and looks like it’s slated for release on the PS3. Not much else is known as to what kind of release this geo-modding first person will be. Is it going to be a PS2 classic, or a remastered HD Port. This leak comes off the heels of THQ reporting improved financial earnings thanks to Saints Row: The Third. So maybe THQ might be a little more confident right now to do things with the Red Faction series after the sales stinker that was Red Faction: Armageddon. This entry was posted in Gaming News and tagged fps, geo-mod, red faction II, thq, volition on May 10, 2012 by Steven T..